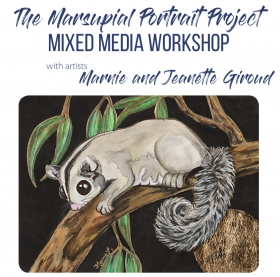 Take a walk on the wild side and spend a morning working on a cheeky marsupial portrait. 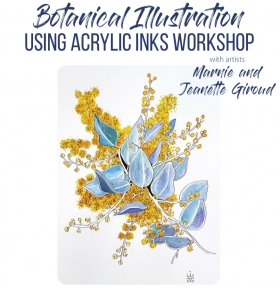 Join Marnie & Jeanette at this mixed media workshop and pick up some favoured techniques with acrylic inks. Working from a photo reference you will create a wildlife portrait of a Western Australian marsupial. Bookings must be paid in full to secure your place BEFORE the day. Phone: 9274 4964 to provide credit card payment. In-Store: pay in person at time of booking to secure your place. 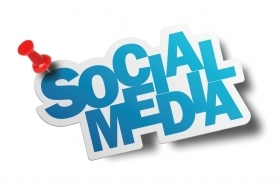 Phone: 9240 1795 to provide credit card payment. Phone: 9381 2700 to provide credit card payment. Join award winning artists Jeanette and Marnie Giroud from Eco Gecko – Environment & Design for a workshop with a difference! See beautiful wildflowers first hand and learn to draw & paint them using acrylic inks and markers. Jeanette and Marnie have years of teaching experience and will guide you one on one during the process to create your very own masterpiece! Previous participants were amazed at what they achieved in just one lesson. Please Note: As this is a popular workshop Booking is only confirmed once payment has been received. Cost: $110* (excluding materials) Materials list is available upon signup. 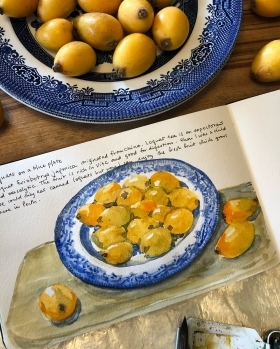 Learn how to sketch in a sketchbook using pen and watercolour wash. Start with everyday objects and progress to sketching a scene when you are more proficient. Be inspired to continue a sketching habit that will enrich your life and increase your awareness and enjoyment of the moment, whether it is food you eat, objects you like, people you meet or places you go to. *Bookings must be paid in full to secure your place BEFORE the day. Artist Bee is a resident artist at Settlers Cottage Artists Studios in Churchlands. She has been painting and sketching with watercolours for more than twenty years and teaching art classes in Perth for over ten years. Bee was born in Singapore and loved drawing from an early age. She practised for many years as a GP but never stopped making art. She has attended courses at the Nanyang Academy of Fine Arts and LaSalle College of the Arts and has exhibited her work in various group and solo exhibitions in Singapore before relocating to Perth in 2004 with her family. She also holds a Masters degree in Art Therapy from Edith Cowan University. A versatile artist with many skills, she has painted several murals in Perth including the massive 25 metre wide Parable of the Tree Mural in Subiaco in 2012. She is adept in many mediums and subject matter including portraiture and clay sculpture. She is also an active volunteer in the community having started Artseeds, a community art and craft group supported by Subiaco Church, where she is an art facilitator. 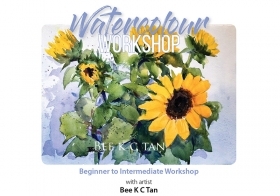 Learn to paint with beautiful transparent watercolours. Bee will teach fun techniques through lively demonstrations, systematic exercises and friendly constructive feedback to help you understand and use this magical medium. Suitable for both beginners and those who wish to refresh their skills. Cost: $110 (excluding materials) Materials list is available upon signup. Rhonda Breen began her art career in Paris over 20 years ago. 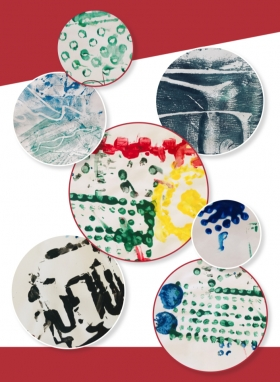 Keen to further develop her own artistic voice and skills, she studied drawing, photography, acrylic and watercolor painting and clay sculpture - glazing and kiln fired pieces. After many years exploring various mediums, Rhonda decided to be a printmaker. This is a very old method of making handmade, pulled prints and is typically one of the easiest mediums to teach children about form, line, color, texture and composition, but mostly fun! Rhonda is dedicated to cultivating a high degree of creativity in children through fun, play and exploration with various art mediums, such as printing, while building solid artistic skills that can last a lifetime. Rhonda is the owner and operator of AlphaStar Literacy and Learning where she runs art classes for children and, recently, for adults.